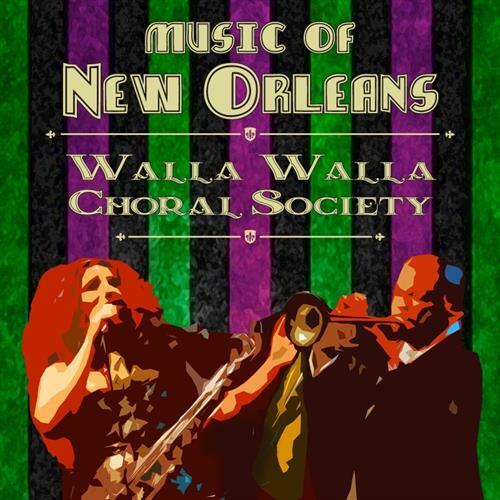 The Walla Walla Choral Society’s 2018-2019 concert season continues with “Music of New Orleans” at Gesa Power House Theatre on Sunday, March 3 at 3:00 p.m. and Monday, March 4 at 7:00 p.m.
Just the city’s name incites visions of festivals, dance, allure, mystery, and history. New Orleans, the cradle of jazz and home to many distinct musical styles ranging from the modern to the traditional. With so many cultures melded together, musical influences and instruments from around the world, from Congo drumming to European horns, have come together to create unique new sounds that could only have come from New Orleans. Reserved seating tickets are available online or by calling the Gesa Power House Theatre box office at 509-529-6500. No outside food or beverages allowed. Sunday, March 3 – 3:00 p.m. The Walla Walla Choral Society, a non-profit volunteer organization, promotes and performs accessible quality choral music for the Walla Walla Valley and collaborates with other artistic groups, enriching the community’s cultural life. Sunday, March 3 at 3:00 p.m.